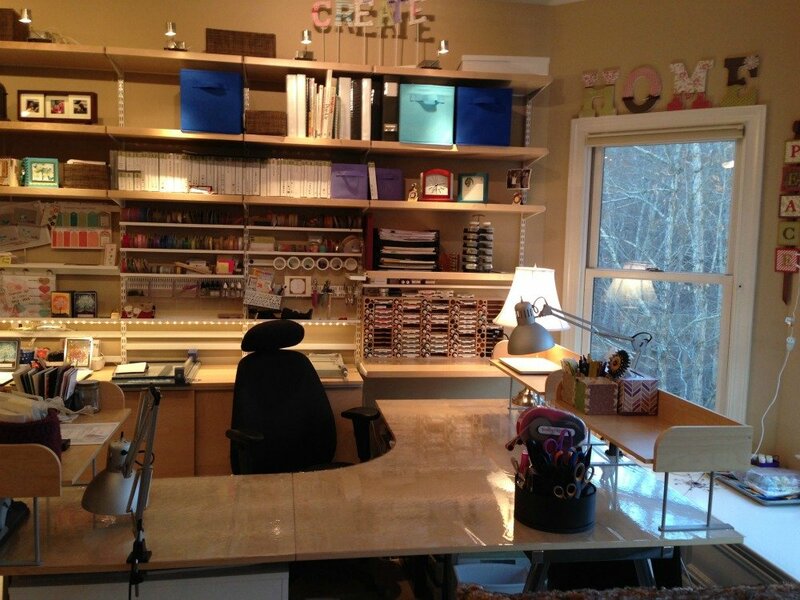 Today’s post focuses on a craft room tour and how I organize my paper crafting supplies. A Facebook Live video tour can be found later in this post with all the details (part 2). 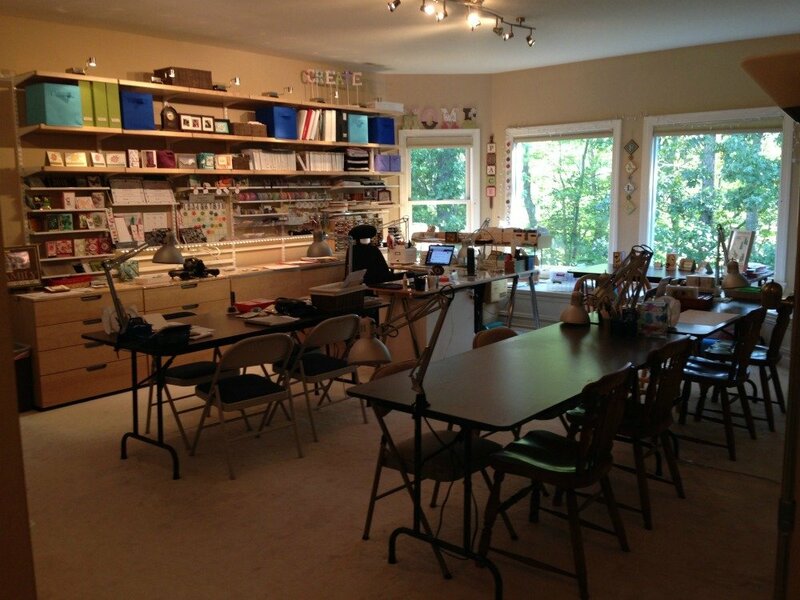 My crafting studio is also a classroom and is on the third floor of my house. While it is not shown here, there is a small bedroom, a full bathroom, a storage closet and lots of displays. There is a tour of these other parts of my space in another Facebook Live that you’ll find by clicking HERE (part 1). I have a combination of hidden and exposed crafting supplies. I like to keep some supplies hidden for a few reasons. Minimizing the visual clutter is important to me plus, I like to have my cardstock in a place where it is protected from being faded by the sun. There are big picture windows in my “treehouse” and I love to allow the sun to flood the room, but I don’t want my paper to suffer as a result. The drawers and cabinet with the sliding doors, the bottom half of my “wall of fun”, are the Gallant Collection from IKEA. I love these cabinets. Watch the video to see inside! I call this my “Wall of Fun”! In my video tour (part 2) we looked in several of the drawers you see here, but I forgot to show the contents of some of the drawers in the middle. The top drawer (shown below) contains all my current punches. The drawer just below is chock full of retired punches. I have more retired punches than current ones! I love my punches!!! The top half of my “wall of fun” is custom designed using products from the Container Store. This next photo shows a closer look at the bulk of my current stamp sets. These are in alphabetical order. What you can’t see here is that there are actually TWO ROWS of stamps on this shelf! 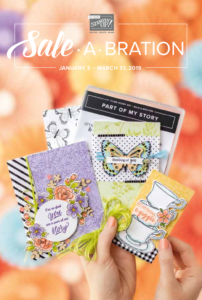 The row in behind includes the latest retired stamp sets which I will either sell or give away as part of my BOGO sale later this year. In my video tour, I showed another spot where I keep my newest stamp sets. These new sets are within arm’s length of my desk where I stamp. My craft space is organized such that all the things I use the most often are within arm’s length when sitting or standing! On this wall just behind my messy desk, are all my stamps, embellishments and some of my tools. Just to the right, are my ink pads, markers, and re-inkers, and hidden just below is a tool caddy, with lots of my other go-to tools! If you want to see my hidden tool caddy, it’s in the video tour (part 2 below). 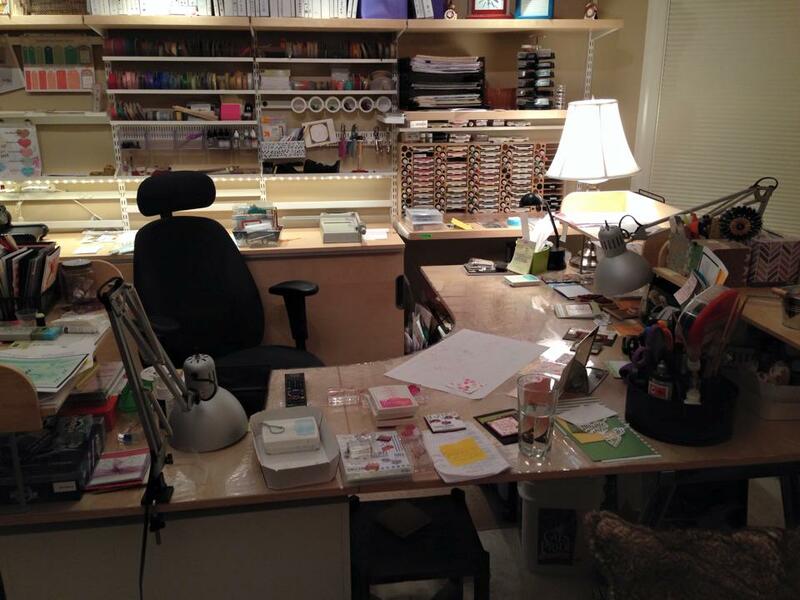 In part 1 of my craft room tour, I challenged people to organize their crafting desks. As part of the challenge I asked people to share a “before” and “after” picture of their space and post it to the Facebook post with the video. I promised to share my “before” and “after” photos too. The photo above is my “before” photo. Below is my “after” photo. If you decide to take the challenge please share your photos on my Facebook page by clicking either HERE (part 1) or HERE (part 2). I love having a clean space to work/play in, plus it’s so much easier to find things! 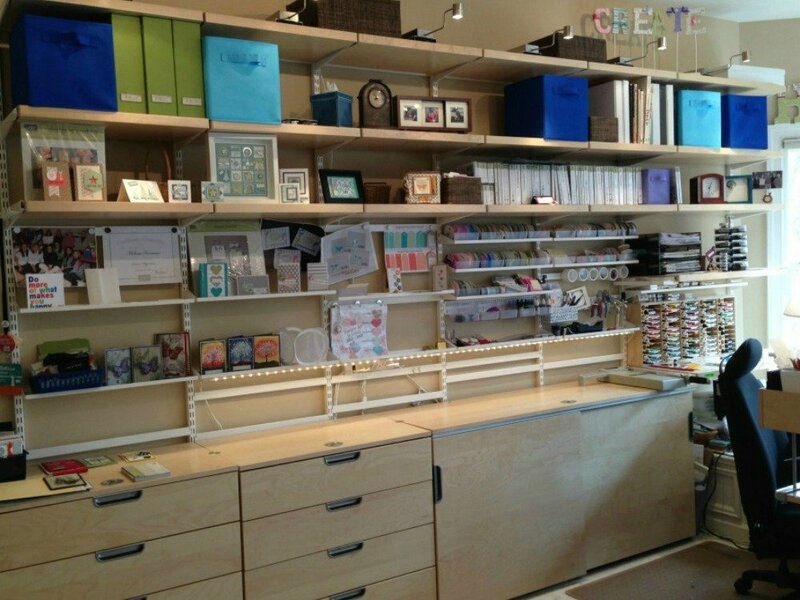 Now, back to the craft room tour! There are three sets of drawers under my desk with crafting essentials! 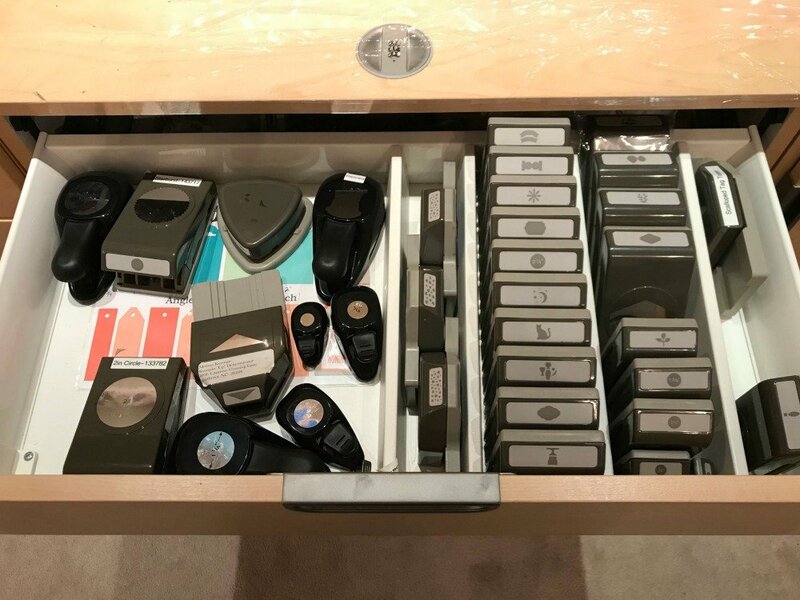 I have a file cabinet with business-related files and some specialty papers; a small set of drawers with some miscellaneous go-to items; and some Alexa Drawers (from IKEA) that have a bunch of paper crafting essentials, like adhesives, acrylic blocks, markers and more. Watch my video craft room tour to look inside these plus more! One Go-To item I’d like to spotlight today are my ribbon cutting templates. I keep these in a top drawer under my desk because I use them all the time when preparing multiples of any given project. This graphic was in my recent email newsletter for my “Tip of the Week”. If you’d like to receive the latest updates, see my weekly tip, and receive special offers just for email subscribers click HERE. I’ve really only included a small fraction of the tour in this post, so make sure to check out one or both Facebook Live videos for all the details. 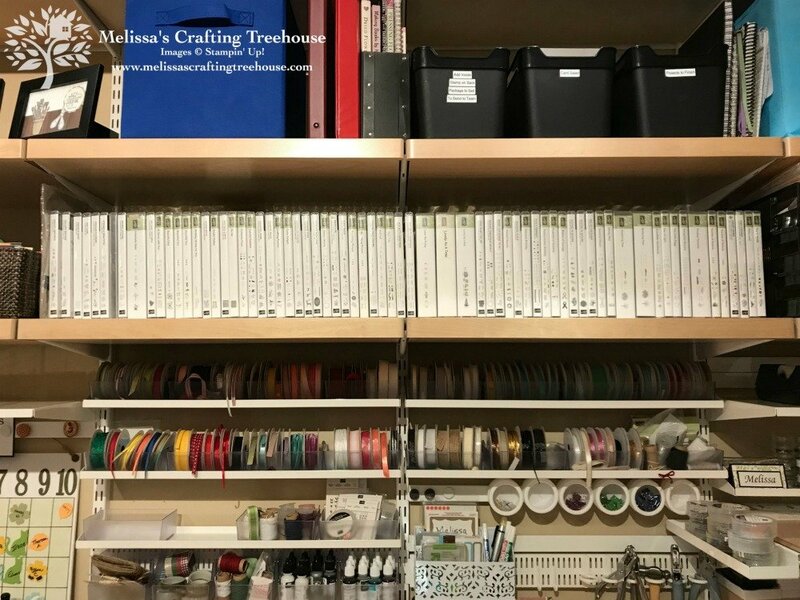 Click HERE to check out the Craft Room Tour Part 1 on Facebook, which includes the more hidden spaces that I call, “the Bad & the Ugly. 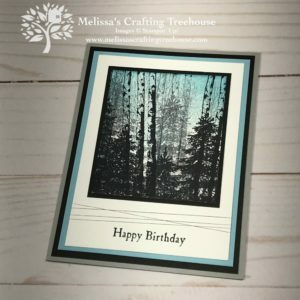 ← Pocket Card and FREE Tutorial Bundle! I would like to see how you store your DSP. I have gone through your video 2 times and do not see the DSP. Please share. That is a very good question and I apologize for not addressing it in my craft room tour. I keep my designer paper in two different places as I separate them into two categories, retired DSP and current DSP. I have a tall stack of thin drawers that you may be able to see in the first video, the one where I showed the “not so pretty parts” of my crafting studio. These drawers are in the corner, to the right of the table in the room with the sofa. These drawers include all my retired DSP and some 12 x 12 Cardstock too. I keep my current DSP in an open wicker basket, close to my crafting desk, so I can get to it more quickly when I’m crafting. I hope that helps.